Powerpoint presentations are a great tool and useful way for people to get their message across to their audience. They can also help you increase the impact your presentation will have on potential clients. 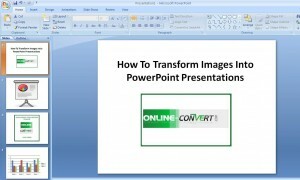 Others use PowerPoint presentations as a hobby or for personal use. Whatever the case may be, knowing how to transform images into a PowerPoint presentation is essential. Here are some great tips on how to do so easily. One of the great features PowerPoint has is letting users create a complete presentation from an entire group of photos automatically. Of course this can be done ony if the images are closely related to the principal content of the presentation you are doing. If for example, you have to give a product training presentation, it will require detail images of each particular product. An easy way to do this is by selecting the “New” option from the file menu. This is found on the new presentation task pane located on the right side of your program screen. Once you are there, click on the “Photo Album” option. After you have clicked on the ‘Photo Album’ option, it will display a window. That window will let you start to select the photos you need for your particular presentation. Next step is to click on the ‘File/Disk’ button and choose the images. You can load your images from your source by hitting the ‘Camera/Scanner button. This will allow you to load your images straight from whatever source you select. The best thing about the Photo Album feature is that it lets you easily reorder your images. Simply select any photos and clicked on the up and down arrows to do so. You can hit the ‘Remove’ button in case you change your mind about any image or order. Other features let you change the tonal value of your photos and make proper adjustments. In addition, you can also change the ‘Frame Shape’ as well. Once you are done, you simply click on the ‘OK’ button to exit the Photo Album box. 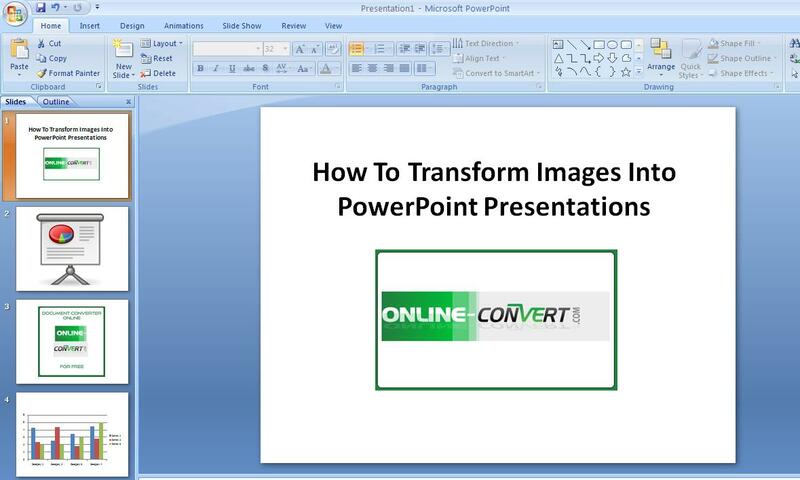 After you do this, PowerPoint will automatically create your presentation. It will use whatever parameters and images you selected. Your last option is to add text if you want and then you are done. In the event that you need to convert any of your images to another format, you can use our free Online image converter tool. PowerPoint is a great tool to use once you discover all of the many features it has to help you achieve your goal.